No need to unwrap and re-wrap baby in a cold parking lot to place into the car seat or stroller. 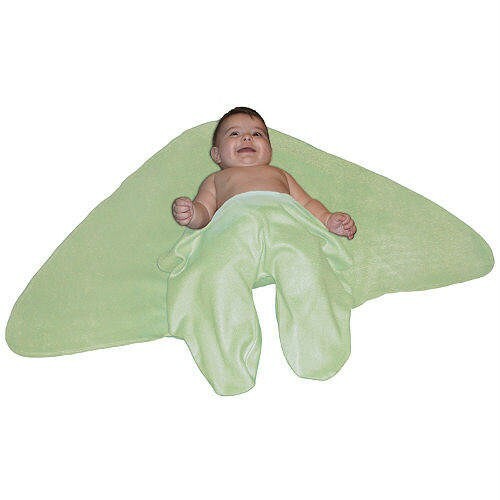 The sewn-in feet of the Bahama baby blanket keep your baby cozy and warm. The 100% micro fleece is flame retardant and fits babies weighing 6-23 pounds.